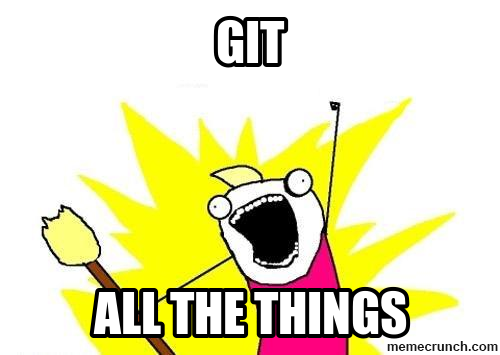 This is the second in a series of blog posts around Git and a new feature in version 72, Git Version Control. See the full list of entries in this series at the end of this post! 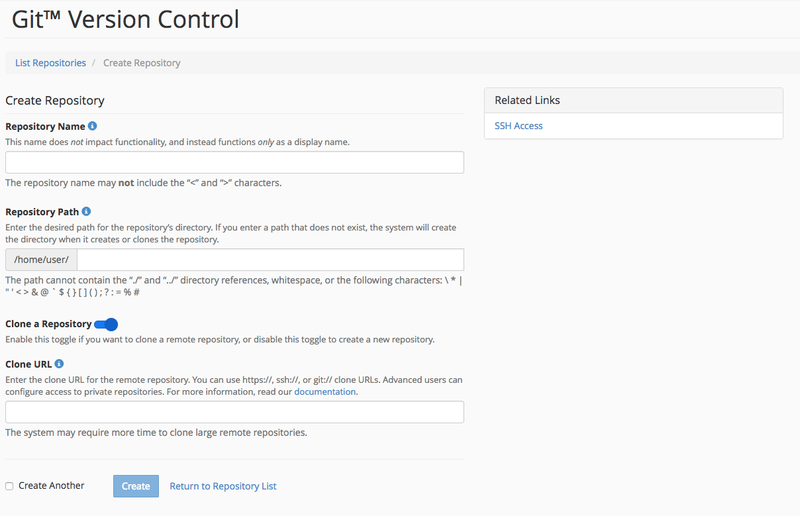 If you follow our feature request site, you already know about our upcoming feature, Git Version Control. We’re designing it to make hosting repositories as easy for developers as a “Hello World!” script — and it’s almost here! It will let you create and manage repositories and view change history in a friendly interface. 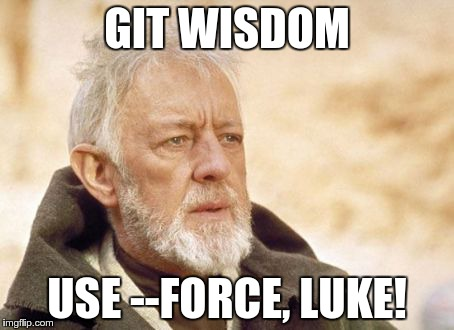 A lot of Git’s functionality requires command line knowledge, but don’t worry! It’s easy to learn. Here’s the rundown of what you can expect. We’re figuring that most of our users will want to clone existing repositories from places like GitHub, but you can use this feature to create new repositories too. Set a repository name, set a repository path, and, if you’re cloning, provide a clone URL — it’s that easy! Create as many as you want as long as you’re under your disk space quotas. If you’ve got SSH access, you can work in these repositories from the command line or in version 72’s new Terminal interface. This feature is a great way to push content around without a whole lot of work. You can easily send changes from your local computer or a remotely-hosted repository to the repository hosted on your cPanel account. It’s a no-fuss solution to data management. 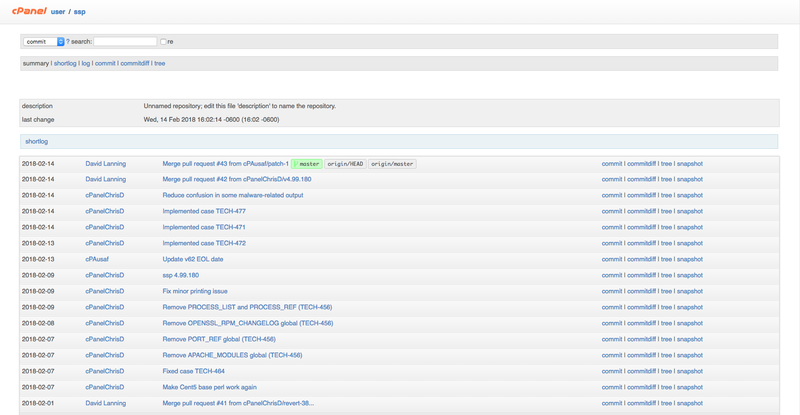 Since we’re shipping with Gitweb integration, you can easily view your repository’s history. We display information about the HEAD commit in the interface, too, so you don’t have to guess where your commit is. 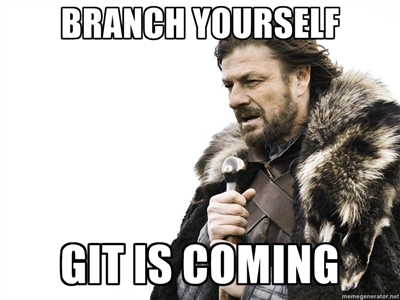 If you already use Git, we hope that this feature will knock your socks off! If you don’t, we’re hoping we can help you start! We’re just about finished with the version 72 release of Git Version Control, but we’re planning to expand the features in version 74. Want to be involved in the development process? Set up an EDGE server and start playing with the feature today, then post your ideas, comments, and questions on the feature request site.